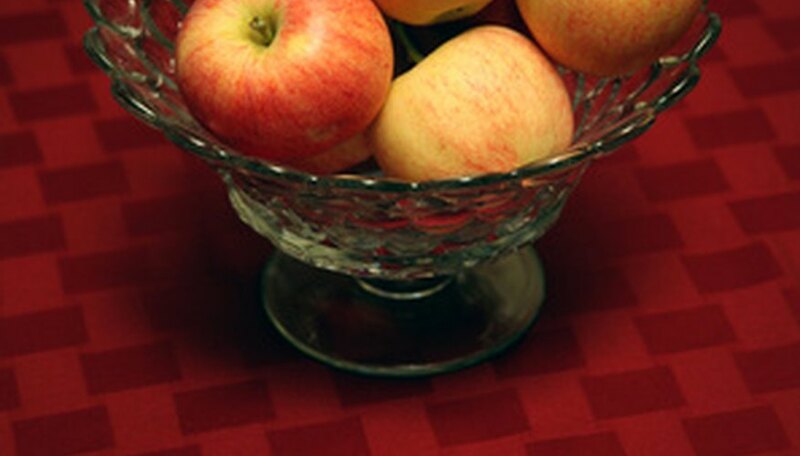 Gala apples are a small variety with a naturally sweet taste. While gala apples are typically considered an eating apple, you can use them in apple pie as well. For the best apple pie with gala apples, use only fresh, unbruised fruit. Unfold your pie crust and roll it out until it is flat. Carefully lay the crust into the pan and gently press it into position with your fingers. Combine the apples, 3/4 cup of sugar, all purpose flour, cinnamon and nutmeg in a medium bowl and gently mix them together. Pour the apples into the pan. Rinse out the bowl. Combine the 1/2 cup of sugar, 1/2 cup of flour and the butter in the bowl and mix it with your hands until it has a crumbly consistency. Sprinkle the crumbs over the pie. Bake the pie for 45 minutes or until the crumb topping is golden brown.